A dear friend of ours, P, comes to visit Hong Kong quite frequently… (he was the one that came up with the name of this website) and it is always a delight to catch up with him! He once lived in Hong Kong with his wife a while back and is now happily settled in Sydney. He tells great stories, is unbelievably funny and is always a joy to be with. His wife, C, is a dear friend and unfortunately she couldn’t make it on this trip. They have an adorable son and I get extremely clucky whenever I see him!!! We thought we’d go to the Press Room to catch up. I haven’t been here for dinner before so was really looking forward to it! Hubby and I were quite pekish and thought we would share an entrée. We shared the escargots de brouguignon (garlic, almonds, parsley). 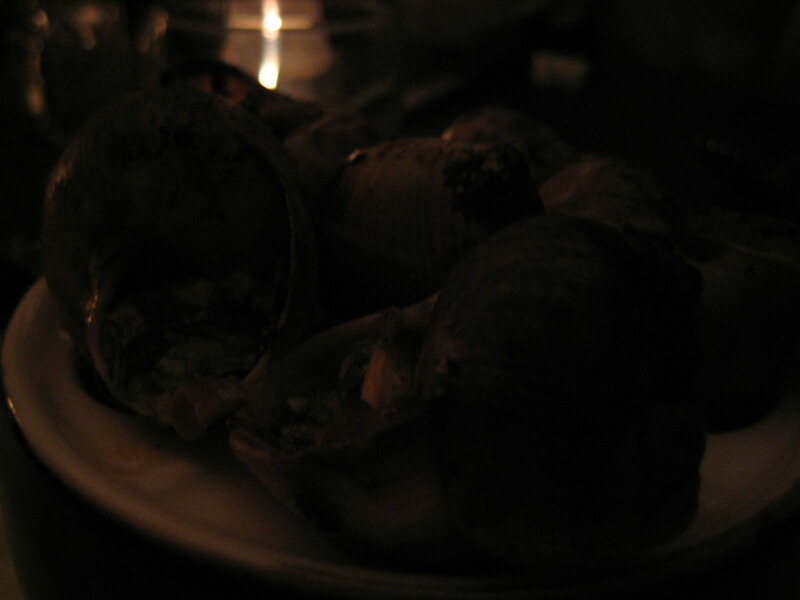 The escargots were absolutely flavoursome – it wasn’t too garlic (so it didn’t give you that horrid garlic smell!) and was tasty. I could probably have eaten half a dozen on my own! 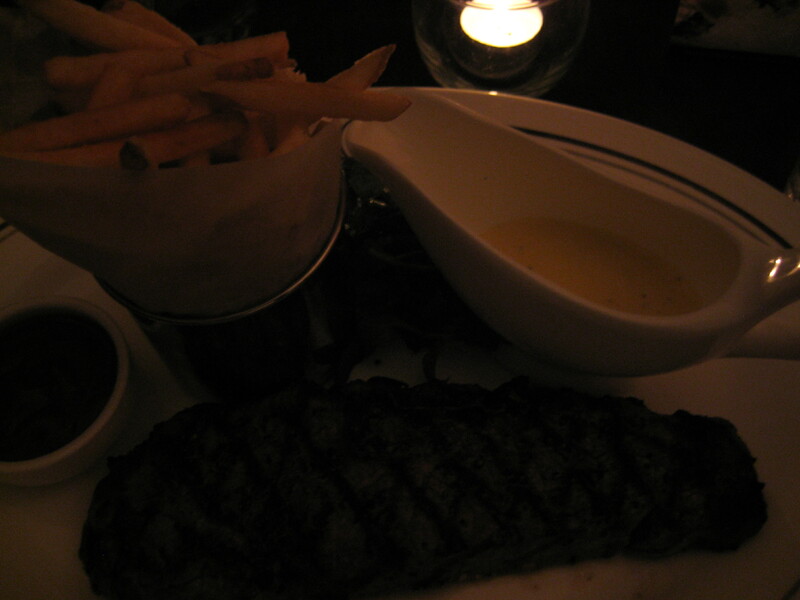 The boys all had the steak – hanger steak frites (red wine, shallot confit). Hubby asked for his steak medium rare and indeed it was medium rare. It was so tender, juicy and succulent – you really didn’t need the sauce as the steak was flavoursome. The frites were crunchy, and the whole meal was truly and utterly delicious! 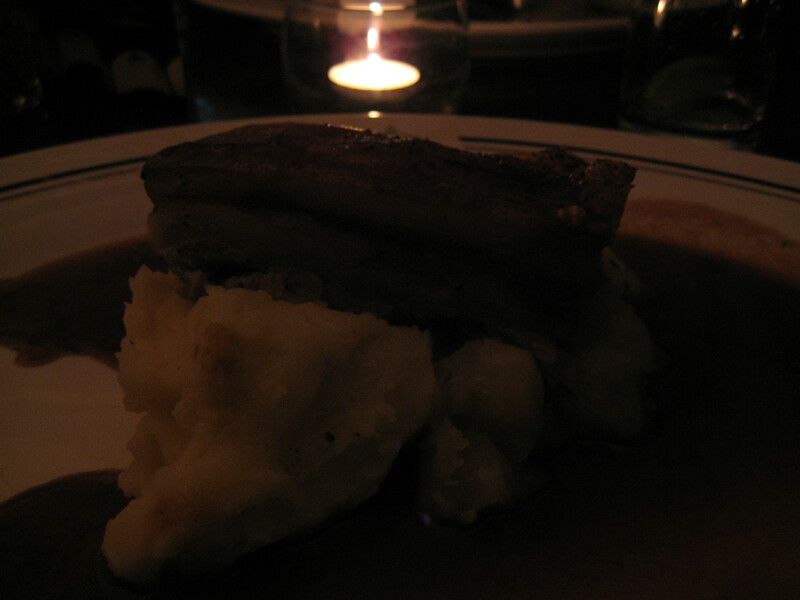 I had the roast pork belly with pomme puree, apple sauce and cider jus. Apparently I had the last one and I was SO SO GLAD that I got to try dish. The roast pork belly was simply incredibly. The pork was tender and juicy, the crackling skin was crunchy and the apple sauce was the perfect complement to the pork. It was an amazing dish – I truly enjoyed this! For dessert, we all got the crème brule with pistachio biscuit. It came in a huge dish!!!! We didn’t think we would finish this but it was a shallow dish, so it was perfect! 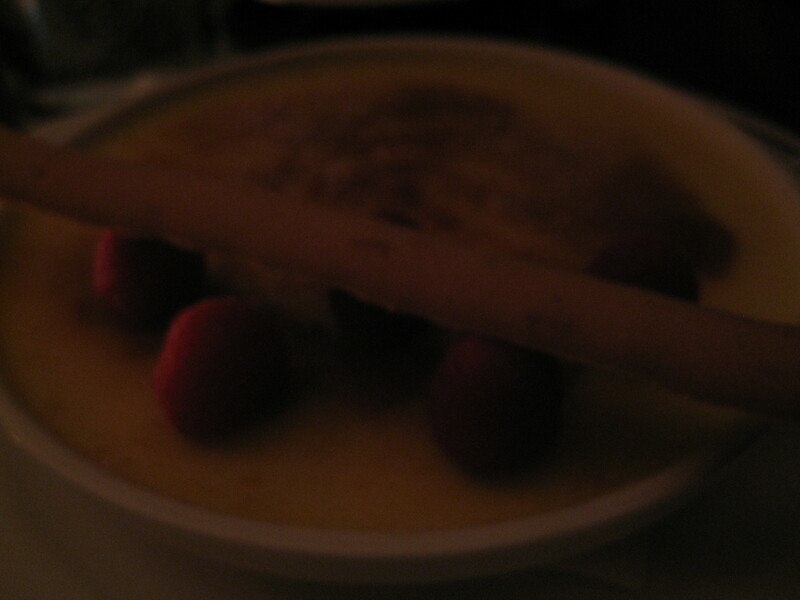 The crème brule was creamy and sweet but not sickly. The pistachio biscuit was a great complement. It was a perfect dessert to end the meal. It’s always great catching up with Mr P – can’t wait to catch up with him and the family in May!